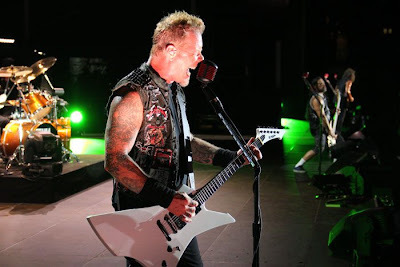 Metallica have added their first-ever concert date in Kuala Lumpur, Malaysia to their upcoming Asian tour schedule. Tickets for this show go on sale at 11:30 am local time on Saturday, July 6 at Fahrenheit 88 Shopping Mall in Jalan Bukit Bintang, Kuala Lumpur. Look for the Galaxy Ticket Booth located on the Ground Floor near the Information Counter in the Concourse area of the Mall. For more information check out www.galaxy.com.my. Online ticket sales will begin on Monday, July 8 at 10:00 am local time at www.ticketcharge.com.my and www.galaxy.com.my. Metallica launch their Asian tour in Tokyo on August 10; the band say they have one more August date to announce as part of the trip.